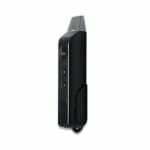 Sorry, Summit Vaporizer By Vapium has been discontinued. The Summit has now been replaced by the new Vapium Summit 2.0, please check that product page instead. The Summit Vaporizer by Vapium is a sturdy, discreet, and portable handheld vaporizer that is very easy to use and very powerful for its size. 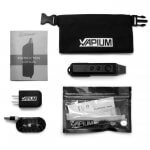 The Summit Vaporizer by Vapium is a sturdy, discreet, and portable handheld dry herbs vaporizer that is very easy to use and very powerful for its size. Its innovative technology, with 8 temperature settings, intuitive user experience, and high-quality construction makes it the perfect device for on-the-go use, even in extreme weather conditions. The Summit refines industry standards of both utility and style that performs whatever the circonstances.